Didier Pollefeyt (Menen, November 18, 1965) is a Belgian catholic theologian, full professor and vicepresident for educational policy of the Katholieke Universiteit Leuven, Belgium. In the Faculty of Theology and Religious studies, he teaches catechetics, religious pedagogy, post-holocaust theology and Jewish-Christian dialogue. He is the moving force behind Thomas, the website for religious instruction in the Dutch speaking world, and chairman of the Center for Peace Ethics. After gaining the degree of license in the Religious Studies (1988) and license in Theology (1991) Pollefeyt obtained his doctoral degree in Theology (promotor: prof. Roger Burggraeve) with a dissertation on ethics after Auschwitz (1995). Thereafter he became assistant professor (2000), associatie professor (2002), professor (2005) and full professor (2008) at the Faculty of Theology, Katholieke Universiteit Leuven. Since 1986 his research focuses on the holocaust as a challenge for ethics, interreligious dialogue and education. Besides, Pollefeyt coordinates the Center for Teacher Education of the Faculty of Theology and Religious Studies at the Katholieke Universiteit Leuven, and supports the field of education with research projects on catechetics and religious pedagogy. Since 2001 he is at the head of the website Thomas. 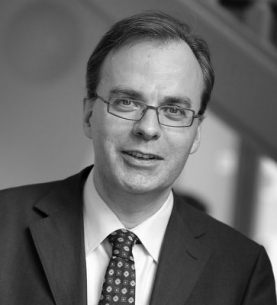 Since August 1, 2013, Didier Pollefeyt is the vicepresident for educational policy of the Katholieke Universiteit Leuven.